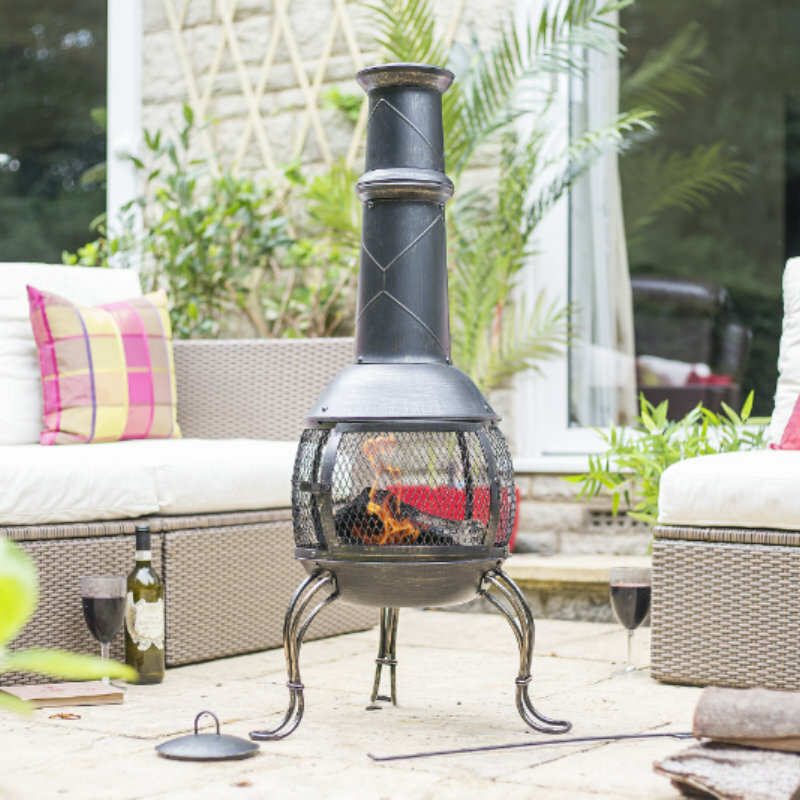 The full mesh body provides a 360 degree view of the flickering fire and emanates warmth all round. 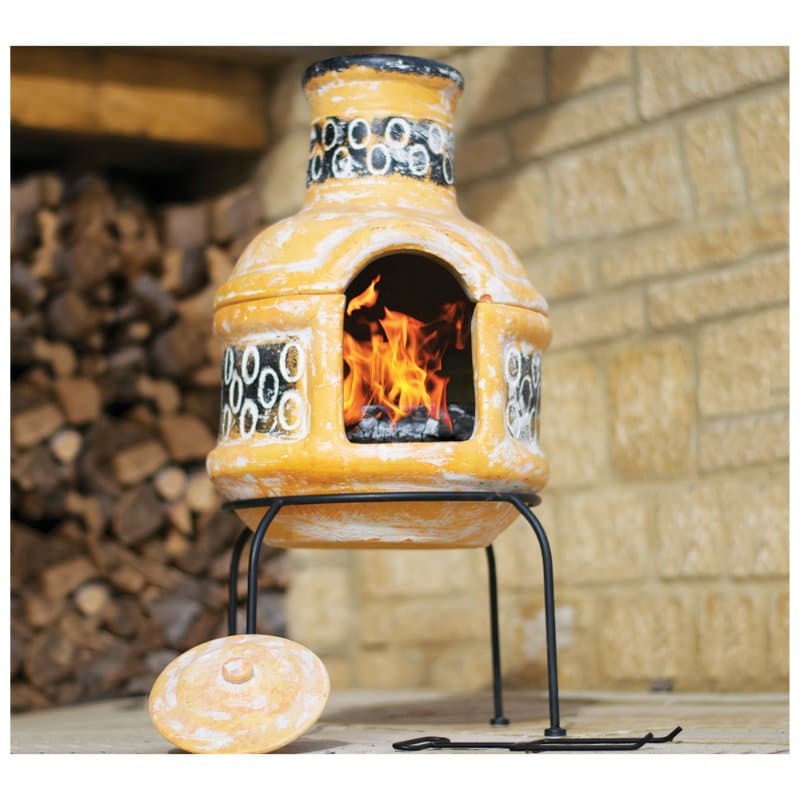 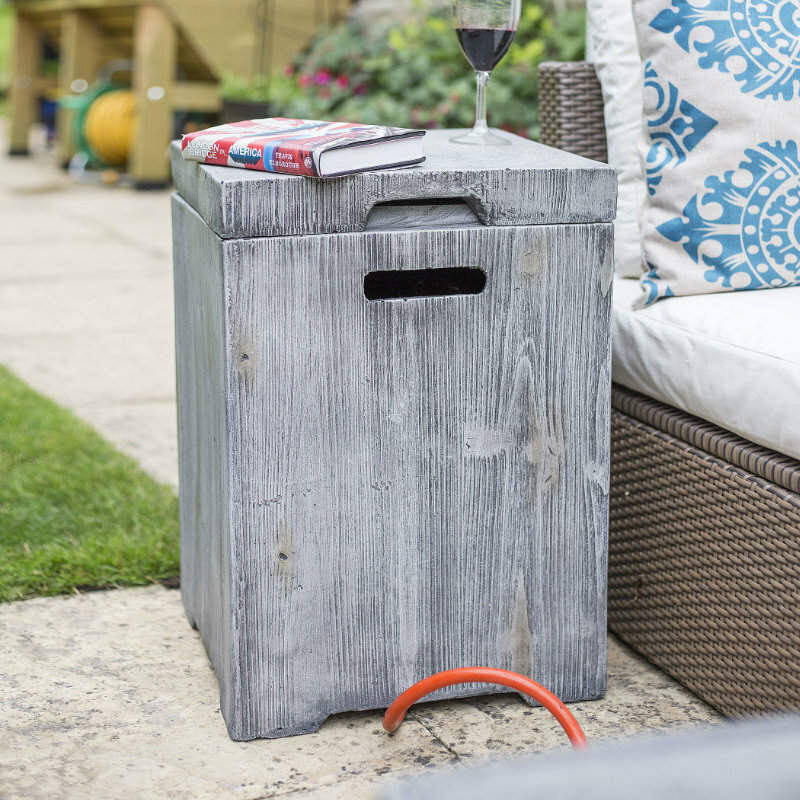 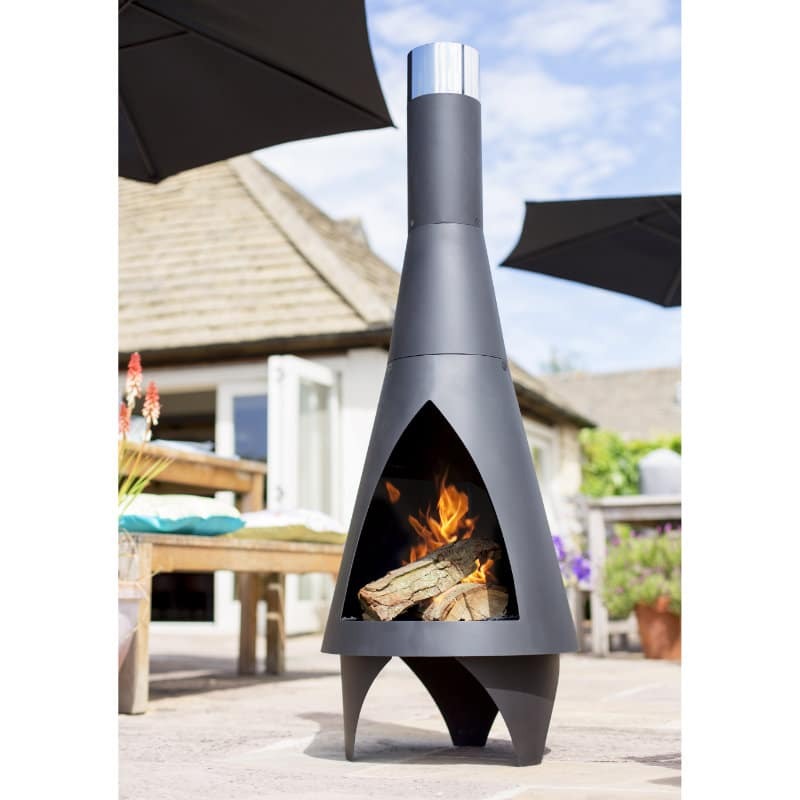 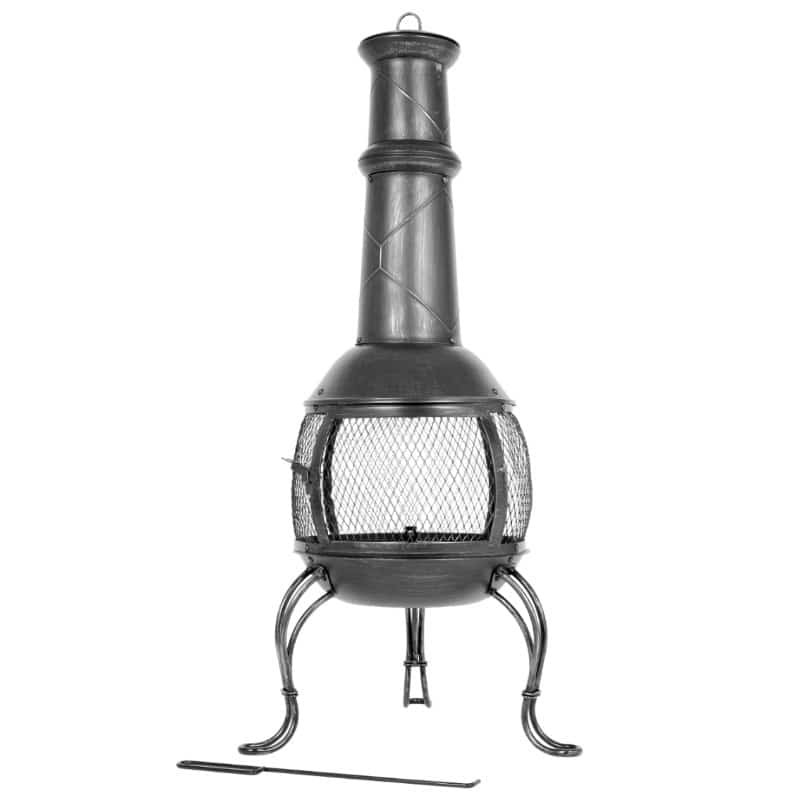 Featuring decorative legs and a subtle pattern on the flue, the Leon chimenea makes an attractive centrepiece for any outdoor space. 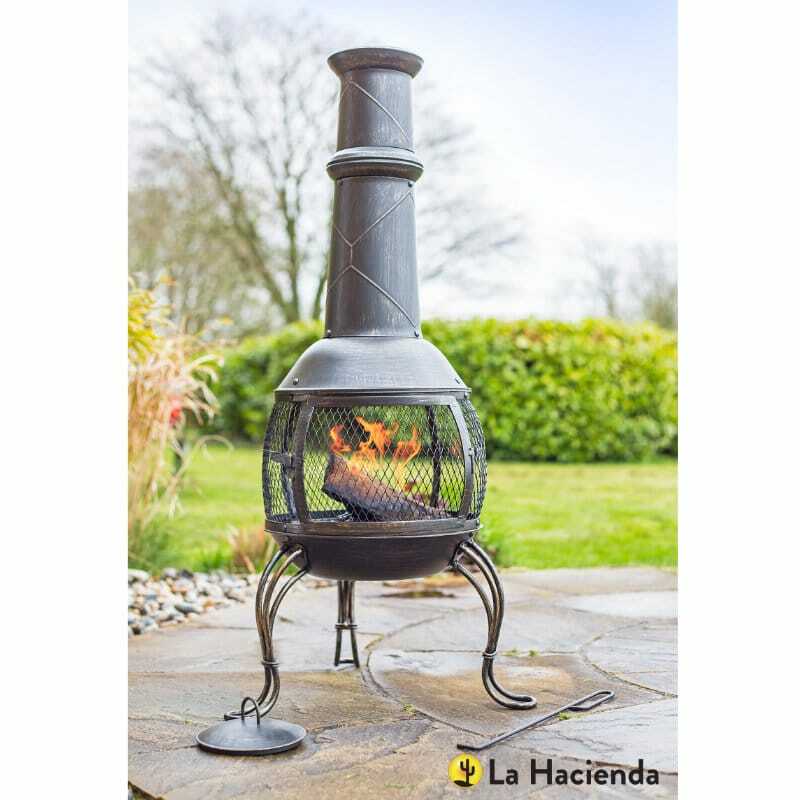 Supplied by La Hacienda. 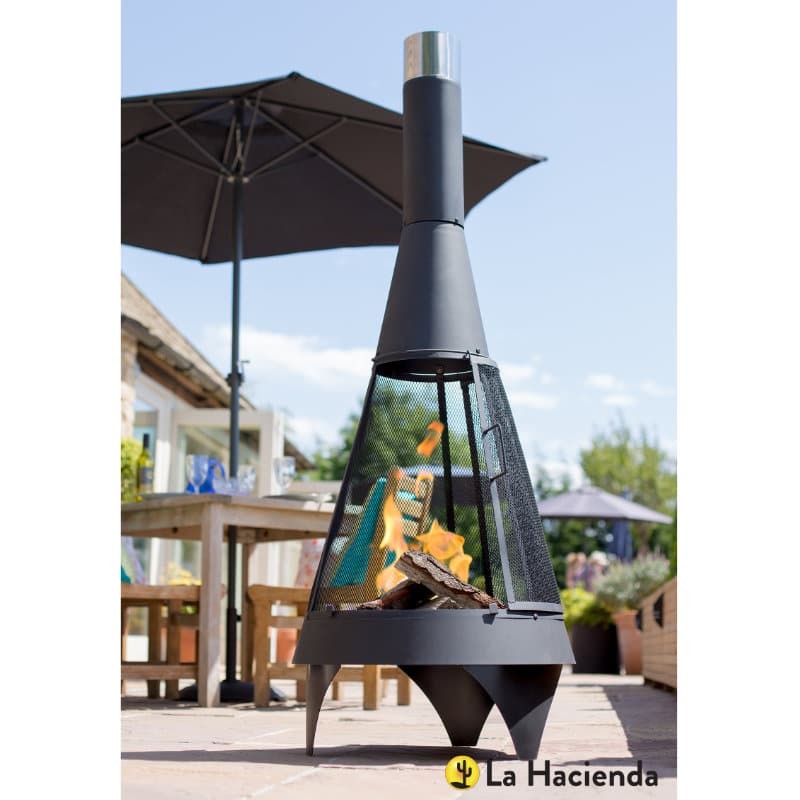 Steel construction with bronze effect, high temperature paint finish, it includes mesh door, rain lid, log grate and safety tool.